This course emcompasses all that Agatsu stands for. Held at the Agatsu HQ, it is the ultimate testing ground for your skills as an athelete and trainer. The focus for this course is on advanced and double kettlebell techniques as well as various bodyweight skills desgined to increase mobility, flexibility and strength. -How to develop rotational power with the aid of kettlebells. -High tension banded swings to develop explosive power. -Progressive alternating compound exercises desgined to challenge and highen your co-ordination. 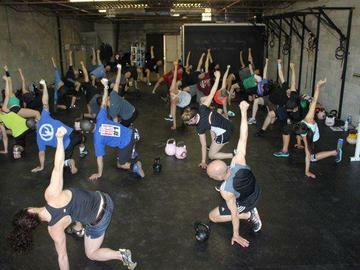 -Advanced kettlebell mobility and flexibility exercises. -Progressive resistance training using kettlebells and chains. You must have an Agatsu Level 1 Kettlebell Cert in good standing to register for this course. Registration is a guarantee of your reserved spot for an Agatsu seminar. Once you confirm your registration you are taking one of a limited number of spaces and as such there are no refunds in the event that you must cancel.